The New Earning Economy - GrowYourBase.io dAppsteemCreated with Sketch. 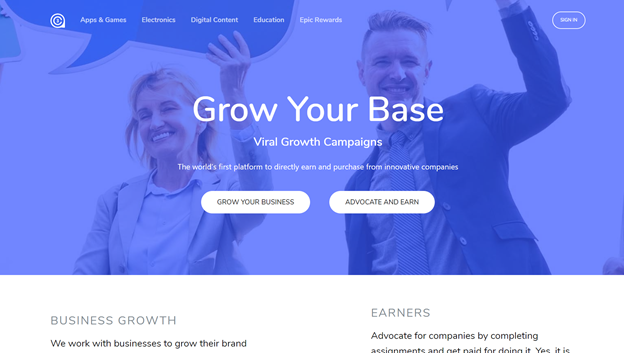 GrowYourBase.io is the new viral earning platform that sits on the ICON Blockchain and uses the AC3 cryptocurrency. This platform just rebranded and relaunched earlier this month and opens up the opportunity for Earners and Advertisers to get in on the ground floor of a new way to promote products to an engaged audience, who is then rewarded for engaging with the advertiser on social media, their site, and even through product purchase. The current site is in the MVP (minimum viable product) phase, and in the next few months they will be adding further features and better smart phone capability. 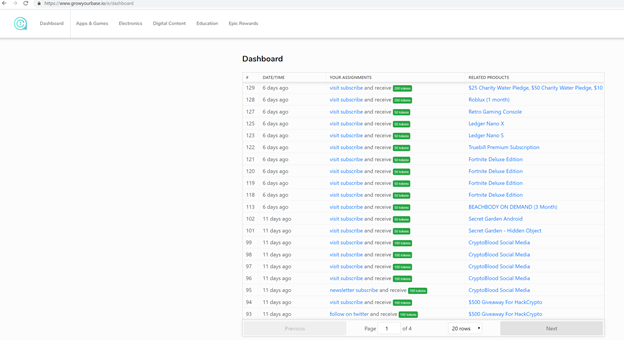 I wanted to spend a few minutes and walk you through how to use the platform, how to earn, what you can use your tokens for, and also provide some insights on navigating through the known bug so you have a smooth experience. One of the great things about GrowYourBase.io is that the AC3 team is building a dApp designed for mainstream use. Blockchain and the Token are transparent to the average user. 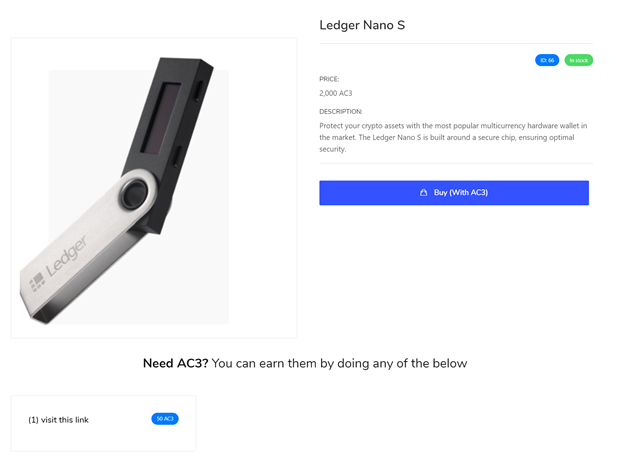 The website has an integrated wallet that earned tokens remain within, and you get the greatest value for your tokens by using them to purchase items directly from the site. The upcoming features will allow for withdrawing tokens to a separate wallet (such as the ICONex wallet), but if you do that, a moderate percentage will be retained by the platform. This gives advanced earners the opportunity to perform social tasks, gain maximum value by purchasing items from any of the linked companies or special promotions, or even have the flexibility to remove a portion of their tokens to an exchange, which can then be swapped for any other traded crypto currency. Logging into GrowYourBase.io involves linking it to your Twitter account. Future enhancements will also provide further linked accounts or login capability. Once you've logged in as an earner, you are then presented with a series of tasks on your dashboard. 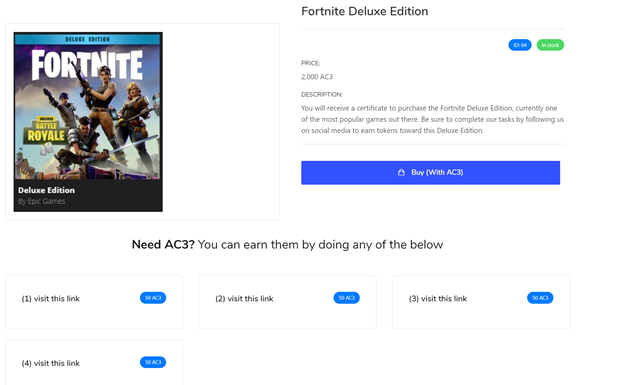 You can purchase Fortnite Deluxe Edition for 2,000 AC3 Tokens. When you click on it, it then provides you with a list of simple social tasks you can perform - which involve visiting the site, viewing the store and watching a video. Each of these takes a matter of moments, and provides you with 50 AC3 Tokens. Another minor bug is that it loads within the current page, so you need to click the Back button to return to GrowYourBase.io, and then click the button to log back in through Twitter. At any point, you can click on the Wallet icon, and it will show you your current balance and which tasks you completed to earn AC3 Tokens. There are already over 120 different tasks you can perform, which means you can already earn a few thousand tokens. More brands and tasks are being added on virtually a daily basis. So even if all you are doing right now is performing simple tasks a few times each week, you can grow a sizable token base over time which you can then withdraw at a later date or use to purchase items from their growing list of companies such as Ledger. 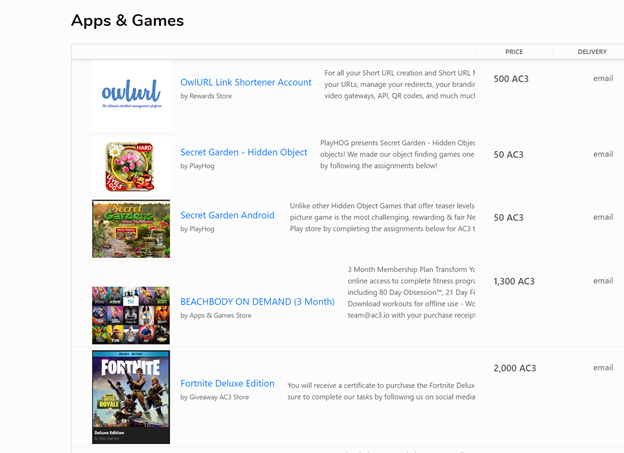 While GrowYourBase.io is still in the MVP phase, the product they already have on market is quite impressive in terms of ease of use and engaging content that rewards an active audience. From an advertising standpoint, it also opens up a whole new avenue for companies to try and find specific demographics and incentivize them to interact with their website and various online and social communities. This is definitely a project to test out and to keep an eye on! Upvoted. Must try this ASAP!